At night or in bad weather, elite military and security professionals are reliant on technology to find potential threats. Infrared and video cameras can not get enough pixels on target to cover wide areas. 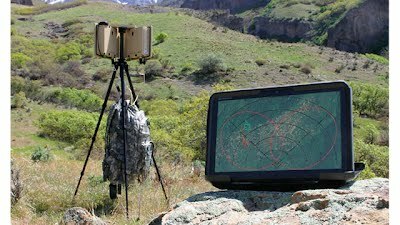 But radar coupled with a PTZ camera and you have a winning solution that covers a wide area and which then allows you to slew the camera to the potential threat and identify the target. Anyone that’s worked with computer vision will easily show this system as useless in an urban setting. Background subtraction is quite easy in the test video. And there is only one target. urban scene has hundreds of ‘targets’.